Boots are made for more than walking. 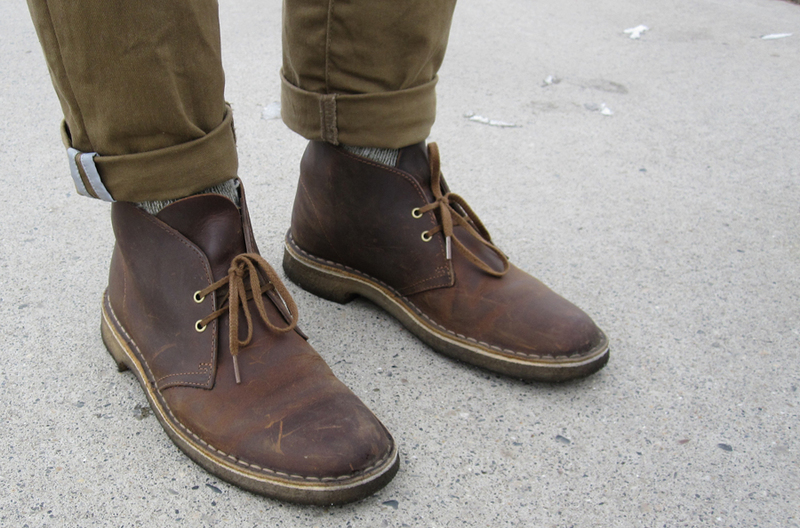 They are made to make a statement; to show the world that your footwear choices extend beyond sneakers and loafers. 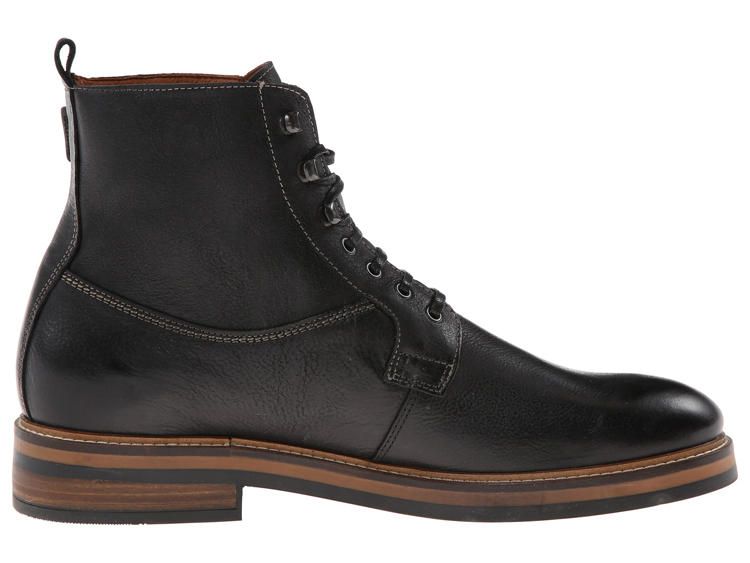 We’ve chosen a few of our favorite boots for this year’s Fall/Winter Boot Guide. From rugged to dressy, this selection of boots will help you to enhance your fall and winter style. Proudly made in the USA at the Port Washington, WI factory, the Allen Edmonds Dundee 2.0 is a lace-up oxford dress boot with a premium calfskin leather upper and double Butyl leather sole. In additon to being cosmopolitan, it delivers durability and comfort. Featuring a split reverse welt that complements the lifted upper, this footwear is great for fall and pairing with everything from dark denim to wool pants. Inspired by the adaptive nature of the color black, Timberland launched a predominantly black collection under the name of Black Forest. The Timberland Black Forest Collection embodies the dark and beautiful shades of grey found in the deepest parts of the woods, married with monochromatic head to toe looks. In addition to contemporary styling, these boots feature the ruggedness that you’ve come to expect from Timberland boots. 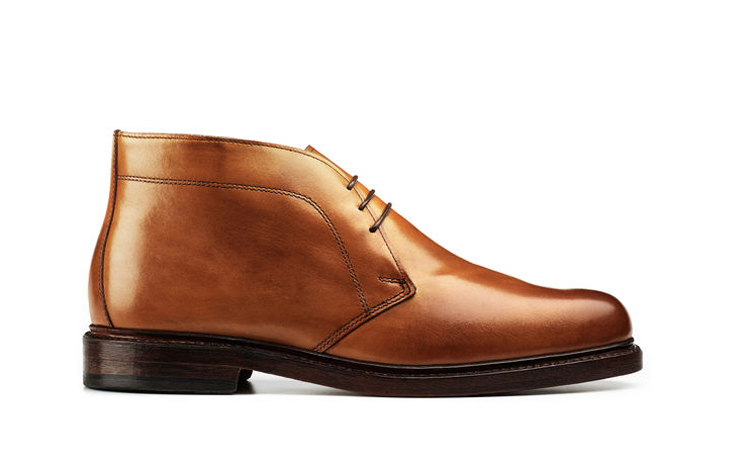 The Stacy Adams Madison Cap Toe Kidskin Classic Boot is the ideal shoe for any formal occasion. 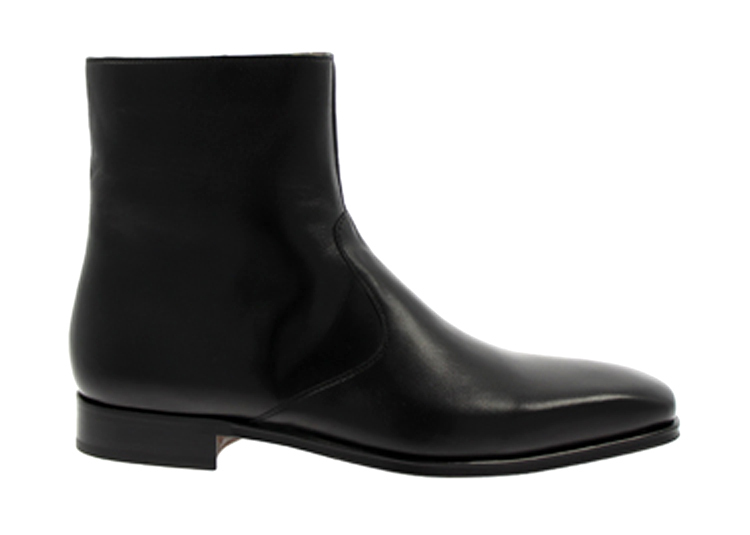 This dapper boot is versatile in that it can be worn to any upscale event, but it is also trendy and wearable on more casual outings as well. 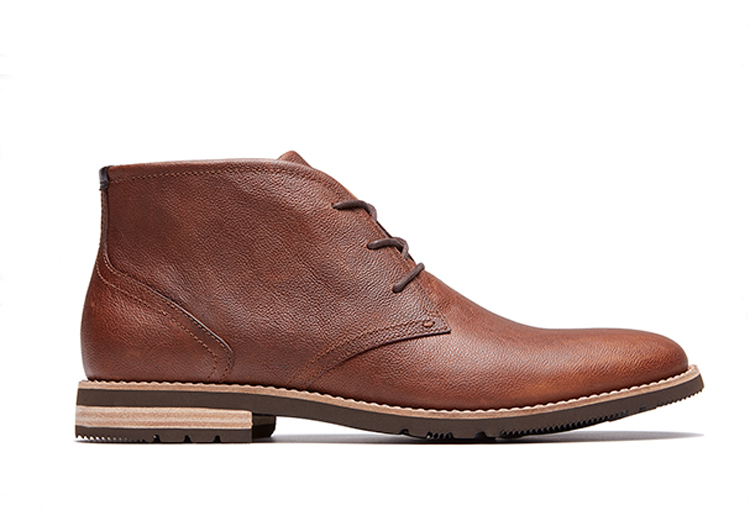 Providing the perfect transition from work to play, the Rockport Ledge Hill Too Men’s Chukka boot is the perfect style to get you though the day. These dress casual boots are available in a variety of colors and styles, in both leather and suede. Dress them up or down to meet your needs, all while enjoying added comfort from Adriprene by adidas sport technology. In addition, the EVA outsole and midsole provides shock absorption so you never have to worry about foot fatigue no matter what your plans. Take on the day, from morning until night, in these comfortable men’s boots. 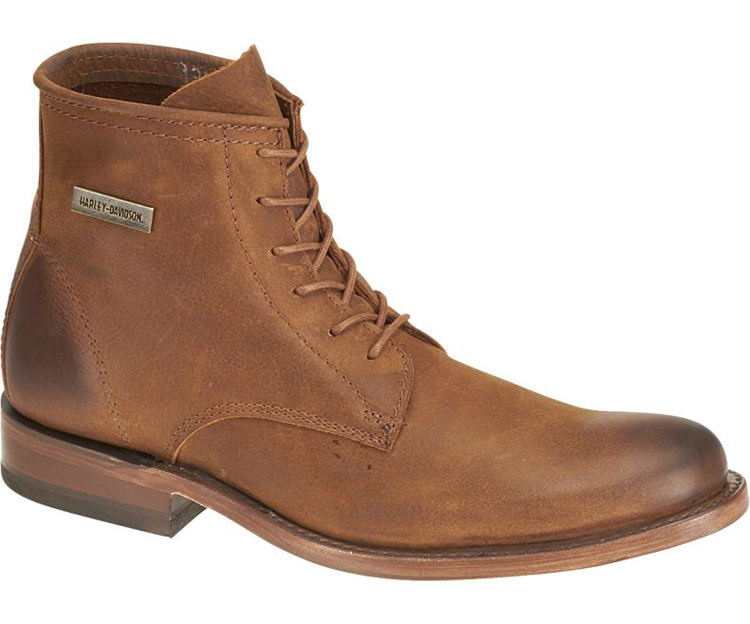 The Johnston & Murphy Fulton Plain Toe Boot is from the EST. 1850 collection. Crafted of supple calfskin and full-grain leather, this boot is hand burnished to highlight the unique character. Features include: Leather lining, cushioned insole with shock-absorbing EVA heel insert, leather welt, and mini-lug rubber sole. 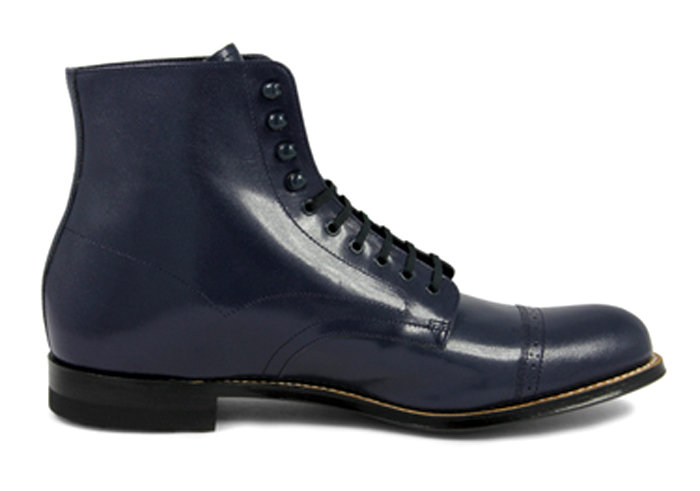 Order this boot and you will receive two sets of laces, in two-tone contrast and matching color. The Wolverine Ramon interprets the ruggedness of a boot in a streamlined silhouette that is a perfect go-to style for any occasion. Handcrafted in Portugal, the Ramon features a smooth full-grain leather upper with leather lining, and a rubber outsole for traction. 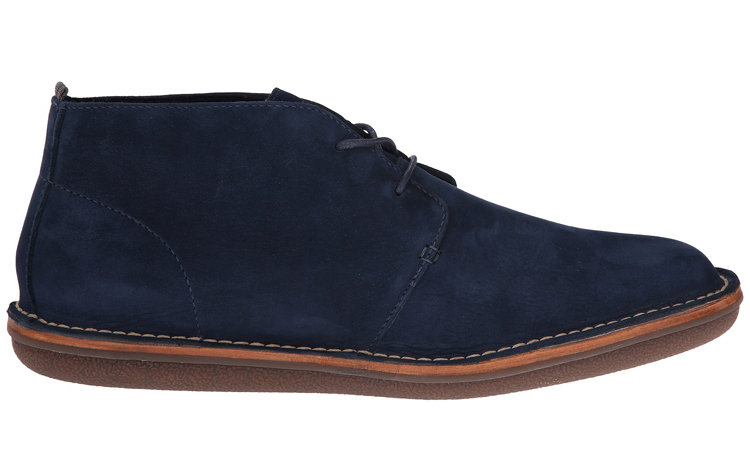 The Todd Snyder Lewis Chukka in Blazer Blue is a collaboration with Cole Haan. The boot features details such as a naturally tumbled and milled suede upper for an extremely soft hand-feel, leather midsole last for premium quality and durability, and molded rubber bottom for traction and comfort. The Florsheim Royal Imperial Munich is an impeccable boot. Handcrafted in Spain with superior quality Napa leathers, this handsome side zipper dress boot is built with our Bologna construction for comfort and flexibility. Your fashion statement begins with your shoes. Put your best foot forward. 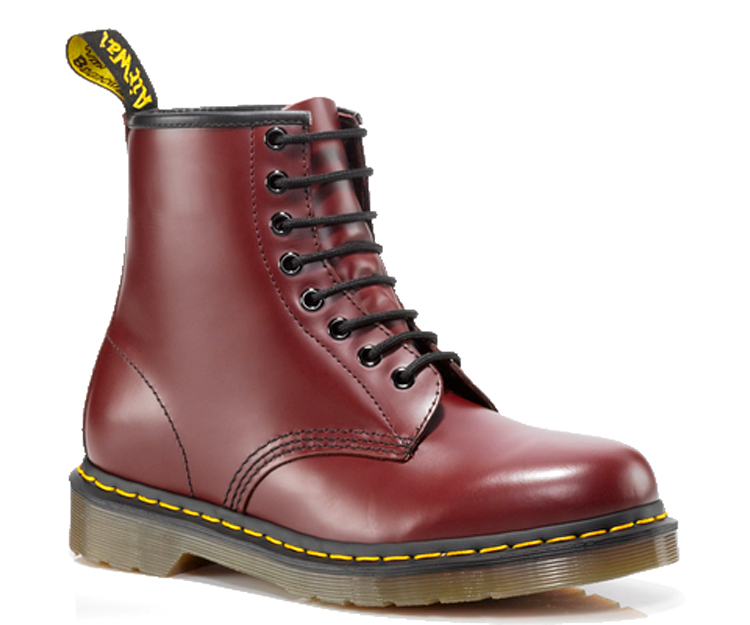 The 1460 is a classic 8-eye boot from Dr. Martens and features a rich updated hue for a fresh-stepping look. 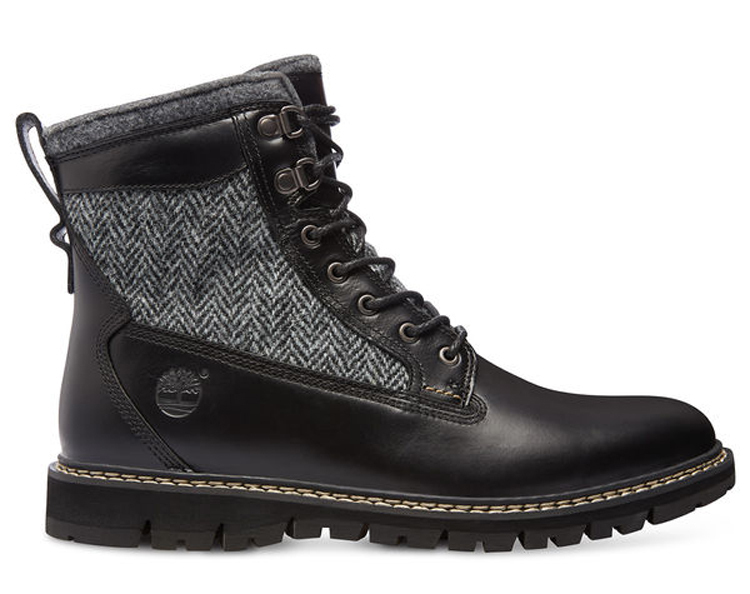 With a leather upper, a rounded toe, a lace-up closure at vamp, pull tab at back shaft and a slight heel, the boot is perfect for every adventure. 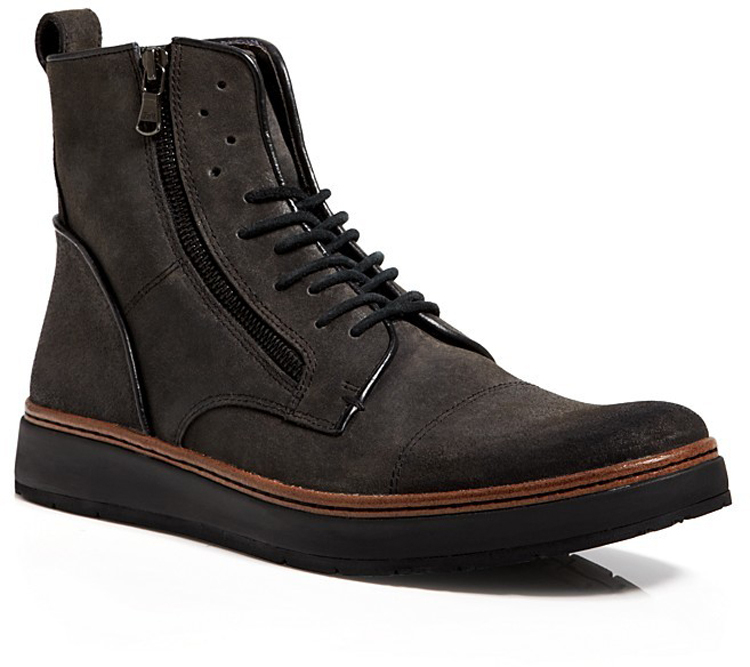 The John Varvatos Barrett Creeper Boot boasts a cool, yet casual rocker style. These textured leather boots add a little practical edge to your causal look with a simple zip on the side and a traditional lace–up front. 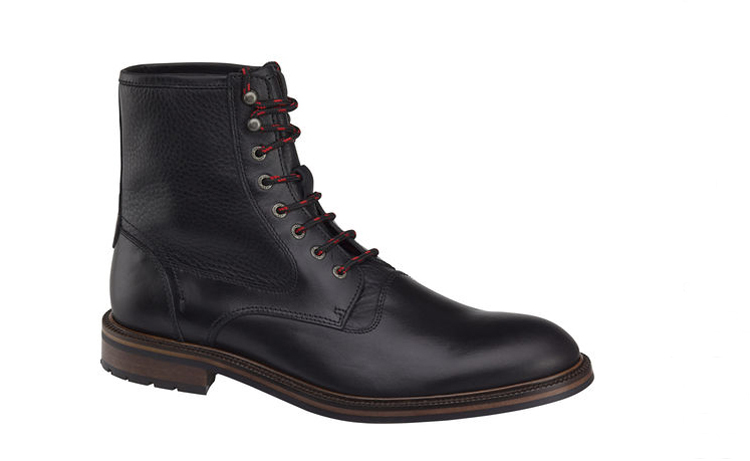 The Harley Davidson Tarrson is a classic men’s lace up silhouette boot featuring supremely soft full-grain leather and a heritage-inspired outsole.